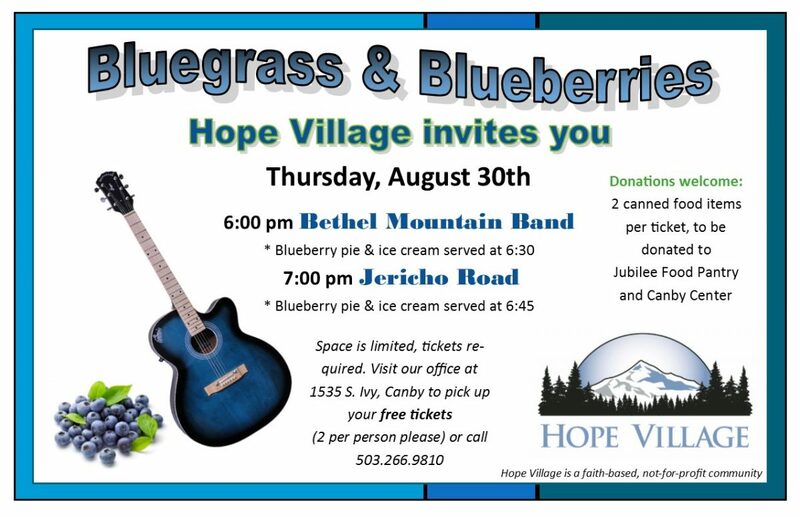 Delicious blueberry pie and ice cream, compliments of Gingerich Farms and Marquis, will be served. Space is limited, tickets required. Visit our office at 1535 S. Ivy, Canby to pick up your free tickets (2 per person please) or call 503.266.9810.
donated to Jubilee Food Pantry and Canby Center.